Balzer + Bray, 9780062368560, 368pp. Anna and the French Kiss meets The Disreputable History of Frankie Landau-Banks in a romantic and hilarious new novel from Brodi Ashton, the author of the Everneath trilogy. 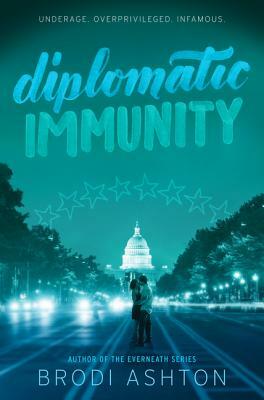 Raucous parties, privileged attitudes, underage drinking, and diplomatic immunity . . . it’s all part of student life on Embassy Row.